Old columns on a new structure? They look like they're in the wrong place at the wrong time. 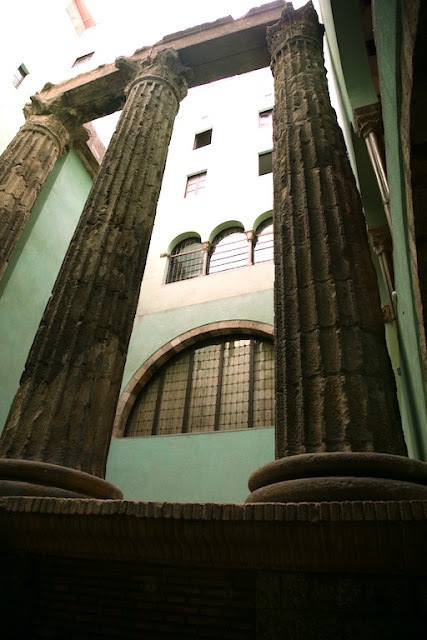 These columns date back to the 1st Century BC, from the Barcino temple in Rome. In the 11th century, new structures were built around the ruins, and for the sake or preserving the columns, the structures were literally built around the ancient Roman columns.